Last year, Thanksgiving came to a screeching halt when there was NO PUMPKIN PIE for dessert. That was SO not going to happen this year. So when my mother-in-law put my sis-in-law and me in charge of pies, there was no question that one would make apple and the other pumpkin. Since Kenzie had never made either, I let her do the pumpkin pie. Since it’s easy. 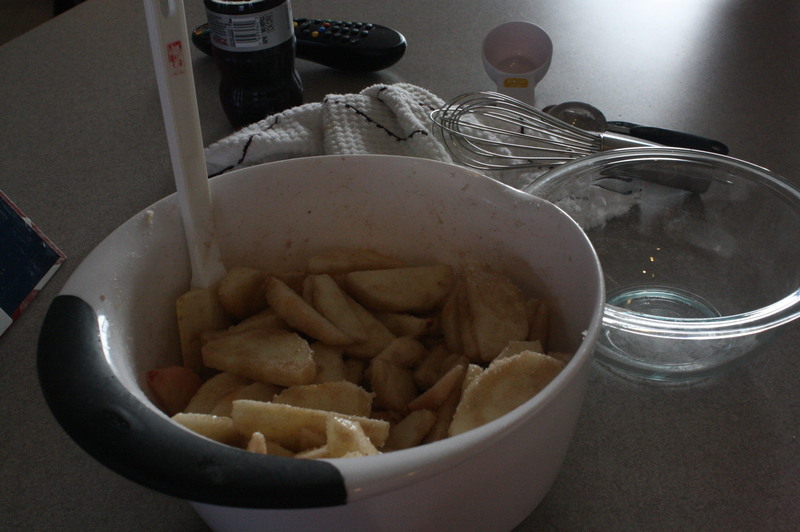 And Eddie and I made the apple pie today. 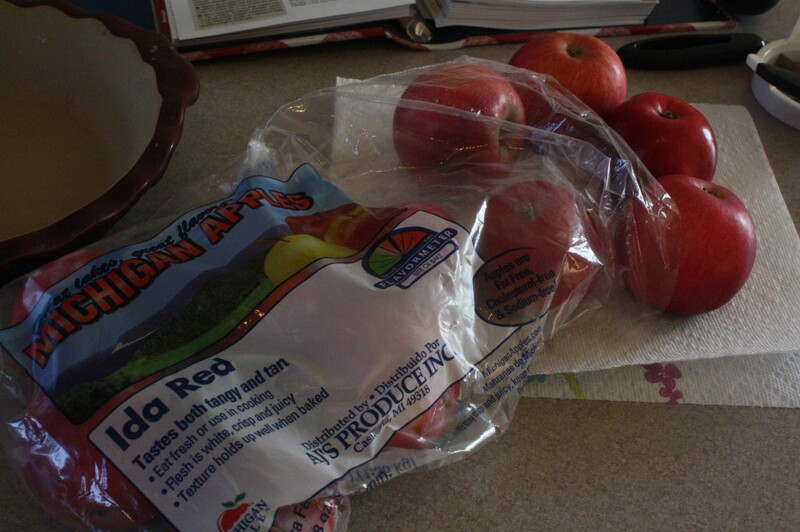 start with local michigan apples. duh. 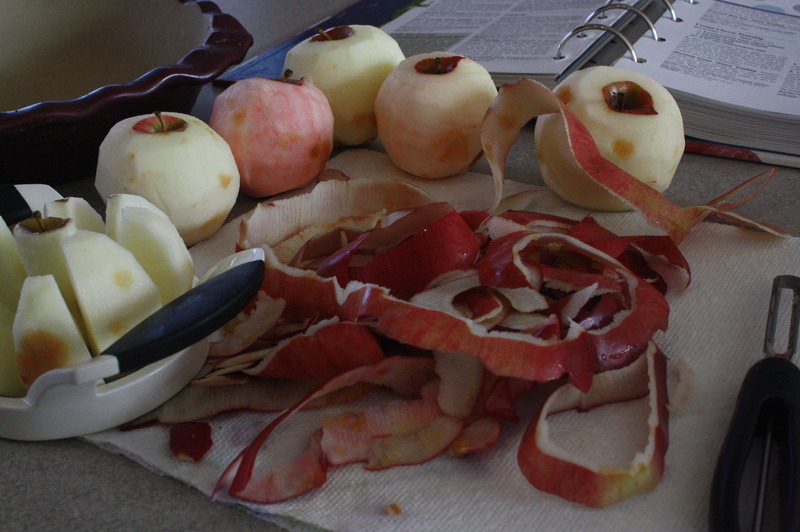 After YEARS of practice and watching my mom do it, I finally peeled my apples in one. long. peel. yes, I was proud of myself. it only took me 33 years, but I got the single peel...FINALLY! 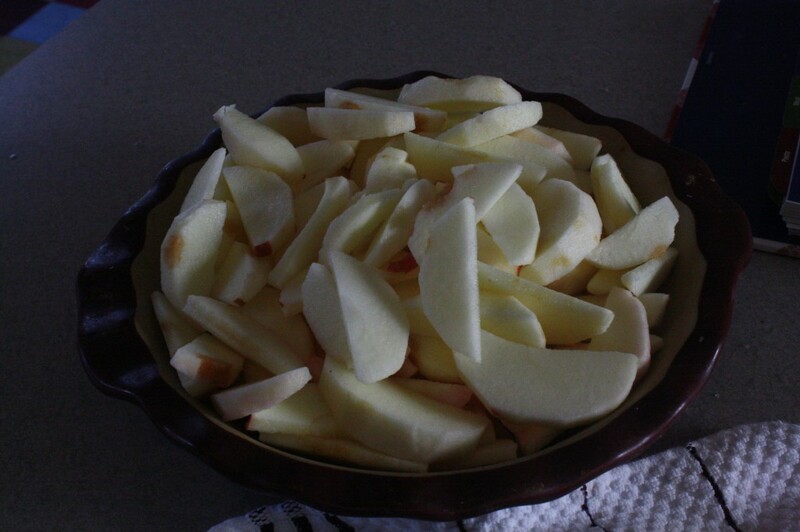 I also like to use my mom’s trick of filling the pie plate with the apple slices to make sure there are enough to fill the pie. Eddie tried to count, but ran out of numbers he knew. a little hand may have stolen a few slices as the filled the pie plate. Next, dump them into a bowl with a splash of lemon juice, under a cup of sugar, a couple spoonfuls of flour, some cinnamon, and a dash of nutmeg. again, there were some slices nabbed out of this bowl. 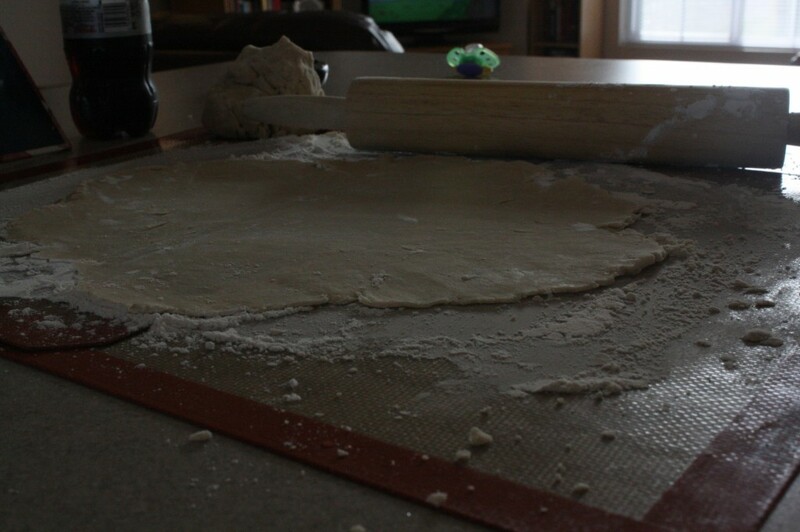 And then there was the homemade crust. I may have given Eddie some play dough at the table so he could also roll some out while not getting in my way. 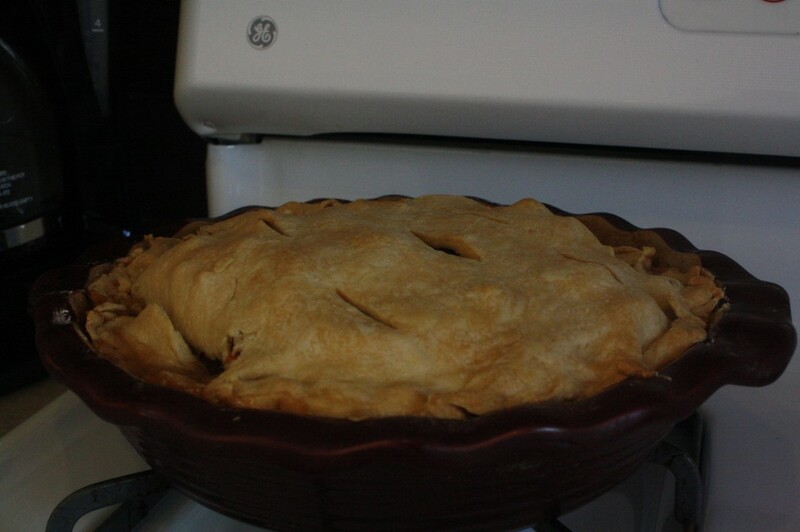 I washed Eddie’s hands and mine (for the millionth time), and he helped me poor the apples in the first crust, put the second crust over, and pinch the edges. Of course I had extra crust dough left over, so we rolled that out, sprinkled cinnamon and sugar on it, and baked that up for a reward for making such a lovely pie. we can hardly wait for Granny's house to eat it! 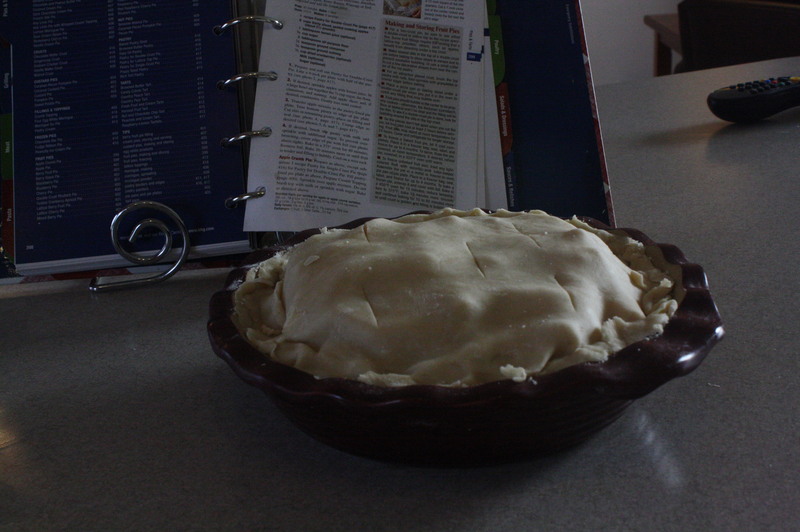 All that pie making was hard work. 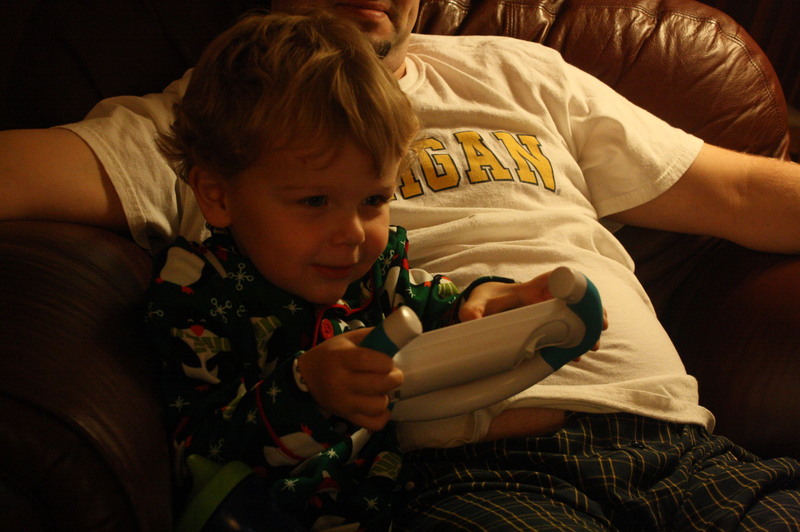 And then ended the night with some Mario Kart. totally something the pilgrims would have done, right? Yes, we have much to be thankful for. 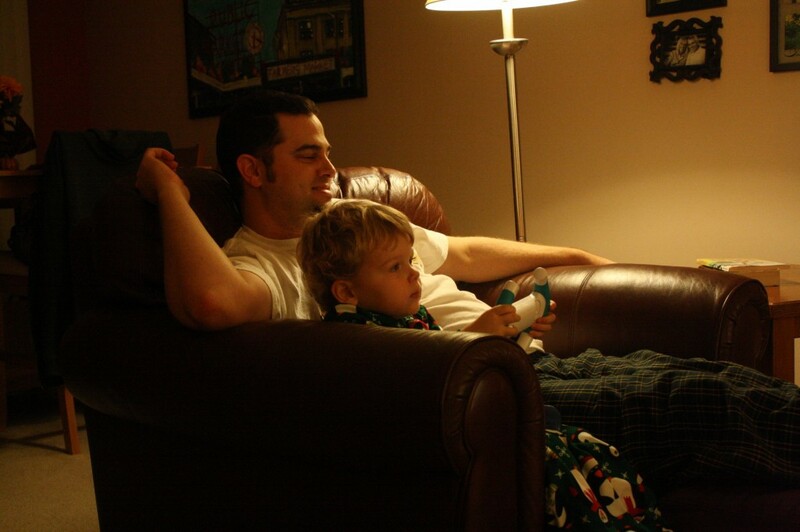 why does it all go so fast? Pie is just a very small part of it. But what that pie represents: family, tradition, sweetness, and love? That is what we are truly thankful for this year.